If the amount is not submitted by June 15, statutory proceedings against Jaypee Infra, which has been facing insolvency proceedings, will begin, said the chief justice bench, which also comprised Justices A M Khanwilkar and D Y Chandrachud. The Supreme Court has directed Jaiprakash Associates Limited (JAL) to deposit Rs 1000 crore with its Registry by June 15. This amount will be used to bankroll compensation to distressed homebuyers who had invested in Jaypee properties. 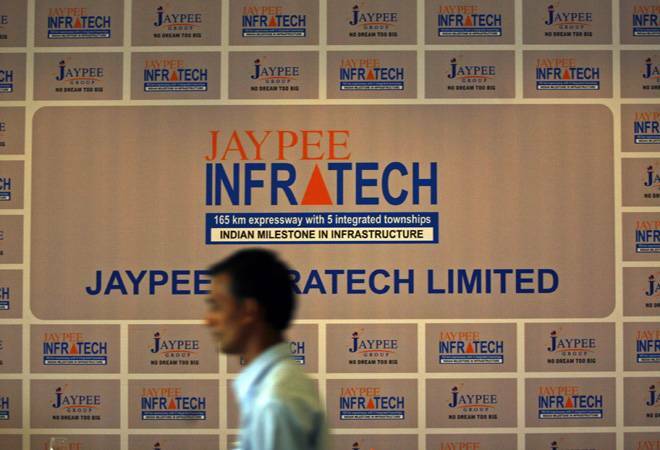 The liquiddation proceedings against Jaypee Infratech Limited (JIL), the infrastructure arm of JAL, will be stayed after this amount is submitted, a bench headed by Chief Justice Dipak Misra said. The apex court had earlier directed JAL to deposit Rs 20 billion with the apex court Registry. So far, the real estate firm has deposited Rs 7.50 billion. Representing JAL before the apex court bench, lawyer Anupam Lal Das said the holding compnay's proposed revival plan for JIL ought to be considered afresh by the Committee of Creditors (COC). "We have proposed the best revival plan and the liquidation of JIL is neither in the interest of creditors, nor in the interest of home buyers," he said. The firm has proposed to offer 2,000 equity shares of JIL, the company facing the insolvency proceedings, to each home buyer as part of its Rs 100 billion proposal to revive it, he added. The company had sought a direction for restraining the National Company Law Tribunal (NLCT) at Allahabad from proceeding further with the insolvency proceedings. It had also said that the handing over of the company to the "sole resolution applicant" will result in compromising the interests of home buyers, minority shareholders, employees and even the financial creditors of the company. The realty firm had said it was completing 500 dwelling units for delivery to the home buyers every month and urged that its representation be considered by the Insolvency Resolution Professional (IRP) as per law. The court had directed its Registry that if any money was lying with it, then it could be invested in short-term fixed deposit with a nationalised bank. It had on January 10 directed JAL, the holding firm of Jaypee Infratech Ltd (JIL), to provide details of its housing projects in the country, saying the home buyers should either get their houses or their money back. It had refused to accord urgent hearing on a plea of the Reserve Bank of India, seeking its nod to initiate insolvency proceedings before the NCLT against JAL, saying it would be dealt with at a later stage. The home buyers, including one Chitra Sharma, had moved the apex court, stating that around 32,000 people had booked flats and were now paying instalments. The plea had also stated that hundreds of home buyers were left in the lurch after the NCLT, on August 10 last year, admitted the IDBI Bank's plea to initiate insolvency proceedings against the debt-ridden realty firm for allegedly defaulting on a Rs 5.26 billion loan.